but it had to be more and the problem was I felt compelled to put it in a human context. A man and nature image rather than just a nature image. So the changes went like so. 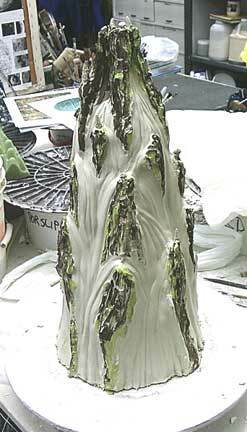 I finished the mountain and looked at it and wondered, "Why not make this piece a real waterfall?" So I began turning the pot into a fountain. 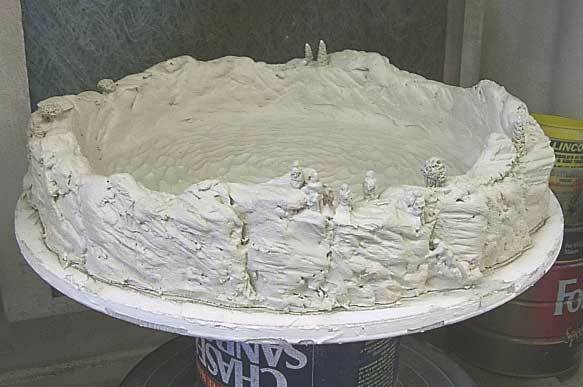 And a fountain must have a water containment dish of some sort so I made a 14" wide dish for the base that looks like a water filled quarry. And though I worry that adding tiny little humans into the picture might be corny, I went ahead and did it anyway. There are a number of backpacked people on the side of the dish climbing (the challenge), staring (the beauty), and one person kneeling (the reverence). Actually, the following pic was taken before all those features were added. But they are there now. 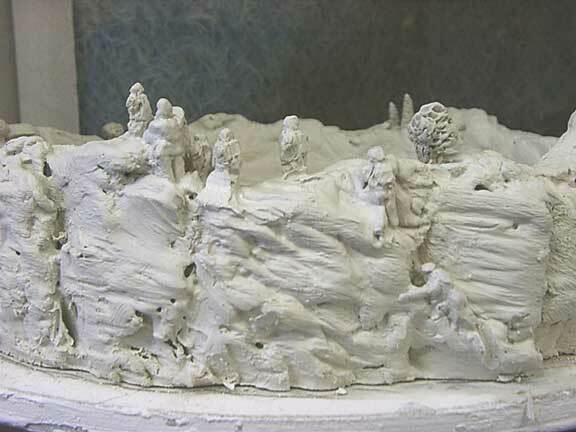 The mountain has a number of pierced openings just at the top where the clay waterfalls emerge from the rocky top of the mountain. I envision a pump that puts water out those crages so it flows the length of the mountain. I think the finished piece will be all I envision it to be. But we will see! 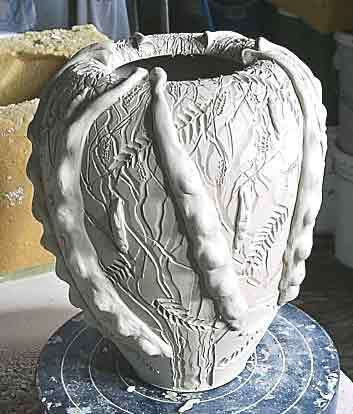 I also made a locust pot. The first in a long time. It is inspired by the tree in my backyard. I got a ladder out to get on top of my garage to take pics when the leaves were gold. 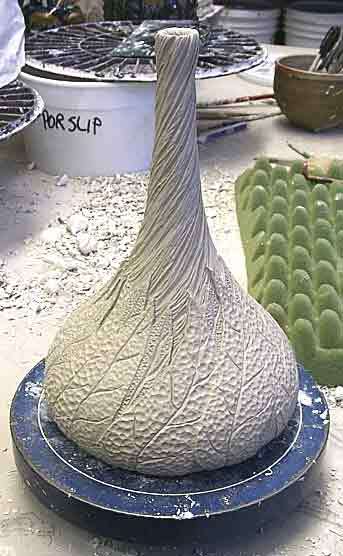 And I made a truely beautiful swirling gourd pot. Can't wait to see that glazed up!